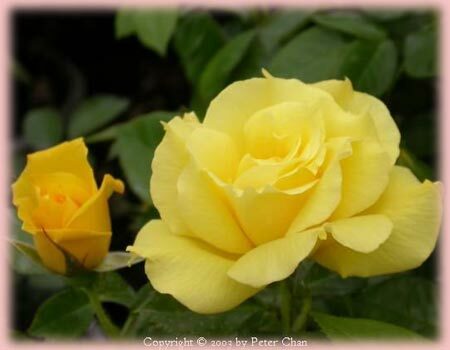 Unlike bare-root roses, container-grown roses usually have good looks on their side. Containerized plants are typically sold in 1-gallon sizes or larger. You'll find them in springtime at all kinds of garden centers, and they're usually nicely leafed out and may even have flowers on them. Beautiful as those flowers are – and as nice as it is to have a live visual of what they look and smell like – the blooms are actually a bad thing because the bush's energy naturally goes toward sustaining the flowers instead of focusing on root development. Bare root roses can focus their energies on good root development instead of working to support extensive leaf growth during the stressful time of planting. Bare root roses are very convenient since there is no soil to contend with. They can be planted earlier in the growing season since there are no leaves to get nipped by frost. Bare-root roses can be planted as early as six weeks before your region's last average frost date in spring and no later than two weeks after that date. Because the top of the bush is naked, so to speak, the roots can concentrate on settling in to their new home and not on providing water to the leaves or flowers. As long as you plant your bare-root roses at the right time, they're likely to take off faster and better than their containerized counterparts.